If you are concerned about mold exposure, let Restoration Local help. As the largest network of restoration contractors, we will connect you with a mold remediation company in your area. Call 1-888-443-3110 now for 30-minute response time and a free, no-obligation estimate on mold removal services. There is a great deal of disinformation about the health risks of mold. Although mold can cause a number of adverse health effects, sensationalized journalism and unscrupulous marketers have blown many of them out of proportion. Such is the case with so-called “toxic” black mold. For most people, symptoms of mold exposure are similar to allergic reactions. Prolonged exposure to mold increases the chances of respiratory infections and bronchitis. Individuals with allergies, asthma, upper respiratory issues, or compromised immune systems may experience more severe symptoms. Call 1-888-443-3110 now for a free, no-obligation estimate on mold removal and remediation. We always offer 24-hour emergency service and a 30-minute response time. Let our compassionate and dependable restoration specialists give you peace of mind in an emergency. Mold is a microscopic, airborne fungus that decomposes organic material in the presence of moisture. The key to preventing mold is to control moisture. Many building materials are conducive to mold growth if there is a persistent source of water. 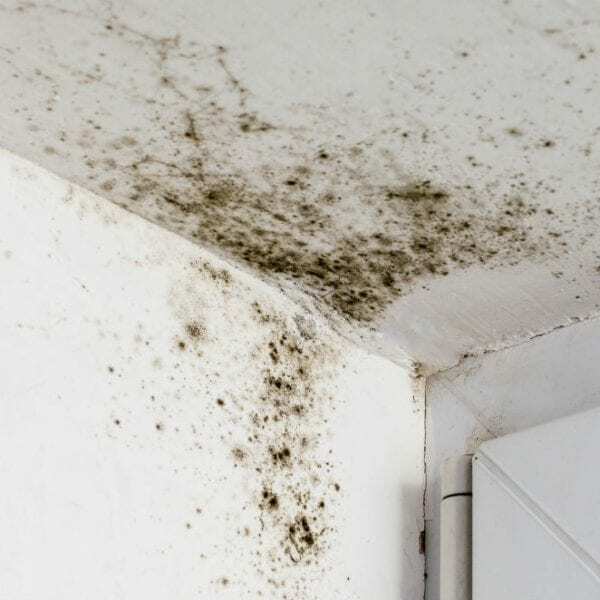 Kitchens, bathrooms, and basements are especially prone to mold because there are consistent sources of moisture, including standing water, humidity, and condensation. Certain seasons and climates are also more conducive for mold growth as well. Mold is typically blue, green, grey, and black, may look fuzzy, and usually grows in thread-like structures. Other signs of mold are persistent odors, crumbling walls, discoloration spots, and peeling paint. Cleaning mold with bleach only treats the symptom. Without resolving the source of the water, mold will return. According to the Environmental Protection Agency, molds produce allergens which may cause allergic reactions, including congestion, sneezing, skin or eye irritation, headaches, and fatigue. Reactions to mold may be immediate or delayed. The Centers for Disease Control and Prevention adds that individuals prone to allergies, asthma, or upper respiratory issues may experience more severe symptoms. In rare cases, serious lung infections may occur in individuals with chronic lung illnesses or immune deficiencies. 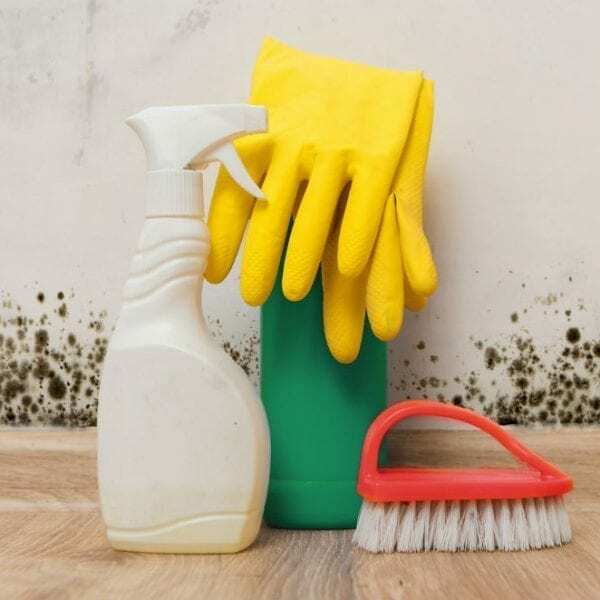 Because the effects of mold can vary widely from person to person, the CDC recommends that mold in residential and commercial buildings be cleaned up as quickly as possible to limit exposure. Cleaning the mold with a mixture of bleach and water is not enough. 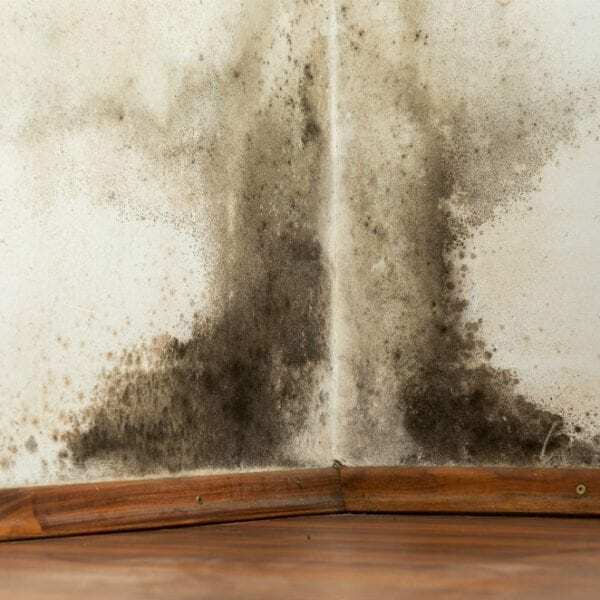 Mold is a symptom associated with a persistent source of moisture, such as a leaky pipe, persistent condensation, or consistent humidity. The source of moisture must be fixed to prevent mold from returning. The average healthy adult is unlikely to experience significant health effects from exposure to mold. Young children and the elderly are prone to more acute symptoms. Individuals with other health conditions are likely to experience the most severe symptoms. 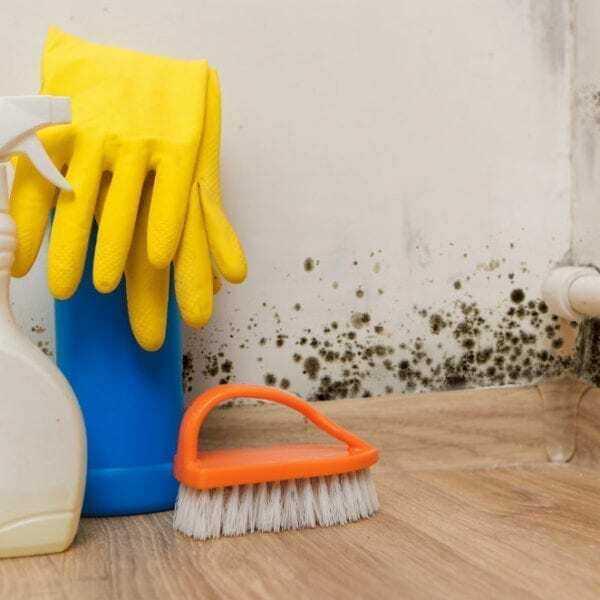 Health conditions likely to aggravate mold exposure symptoms include diabetes, asthma, chronic lung disease, allergies, HIV/AIDS, immune diseases, heart defects, cystic fibrosis, depression, seizure disorders, Sickle Cell disease, kidney failure, and liver failure. The most common health condition associated with mold exposure is an allergic reaction. The severity of the allergic reaction depends on the health of the individual and the extent of exposure. Like other allergic reactions, symptoms include sneezing, nasal or chest congestion, dry or itchy eyes, skin irritation, headaches, and fatigue. Individuals with allergies may experience more severe symptoms. Allergic reactions to mold may be immediate or delayed. While mold will not cause asthma in most healthy adults, it can irritate those with asthma and trigger asthma attacks. Common symptoms include coughing, wheezing, and other issues with the upper respiratory tract. While not definitive, several scientific studies have linked mold exposure in infants to asthma and other upper respiratory issues later in life. Individuals with compromised immune systems are vulnerable to fungal infections if exposed to high levels of mold. Sinus and digestive tract infections are the most common, but lung and skin infections are also possible. Hypersensitivity is an overreaction of the immune system in normally healthy individuals. Mold-induced hypersensitivity is usually related to the direct exposure to inhaled mold spores which may cause allergic asthma or hay fever. Common symptoms are a runny nose, watery eyes, and coughing. In rare cases, it can cause an inflammation of the alveoli within the lung. Molds, including black mold, produce toxic compounds called mycotoxins. Exposure to extremely high levels of mycotoxins can lead to neurological problems and, in very raw cases, death. Fortunately, the level of exposure necessary is virtually impossible under normal scenarios. Even prolonged exposure to mold in residential or commercial situations are unlikely to result in that level of toxicity. There was an increase in the concern about mycotoxins in the early 1990’s after a study by the Center for Disease Control and Prevention (CDC) linked mycotoxins produced by mold with pulmonary hemorrhages in infants, including one death. After an internal review of their research and procedures, the CDC concluded that there was no direct association between the two. Despite the correction, sensationalized stories and several high profile lawsuits have perpetuated the idea of killer toxic mold. Sick building syndrome is a condition where usually healthy individuals feel ill for unexplained reasons. It’s believed that SBS is related to issues with ventilation, air quality, and the movement of air through heating and cooling systems. While the exact relationship is unclear, mold in the building may be a contributing factor to SBS. Symptoms vary widely and include irritation and sensitivity of the eyes, noses, and throat, headaches, fatigue, irritability, asthma attacks, chest tightness, wheezing, shortness of breath, skin dryness and irritation, nausea, uneasiness, and discomfort. Mold is always the symptom of some type of water issue. Without a source of moisture, mold cannot thrive. Aside from the health risks of mold, it can weaken building materials or even cause structural issues if left unresolved. After an initial assessment and free estimate, our trained and experienced crews will repair the source of the moisture and remove materials contained with mold. To prevent a recurrence, they clean, clean, deodorize, and sanitize the area, then restore your home or business to the original condition. Our compassionate and dependable mold removal and remediation professionals are dedicated to cleaning and restoring your home or business. Call 1-888-443-3110 now for a free estimate from one of our experienced, reputable mold remediation teams. Let us give you peace of mind in an emergency. With 30-minute response time, our compassionate and dependable mold removal and remediation specialists will clean up your disaster fast! We can even bill your insurance directly. Call 1-888-443-3110 now for a free, no-obligation estimate. We don’t just restore your home or business, we restore your life.